Here in the Rockies, we're forced to take a few more breaths than in other locales. 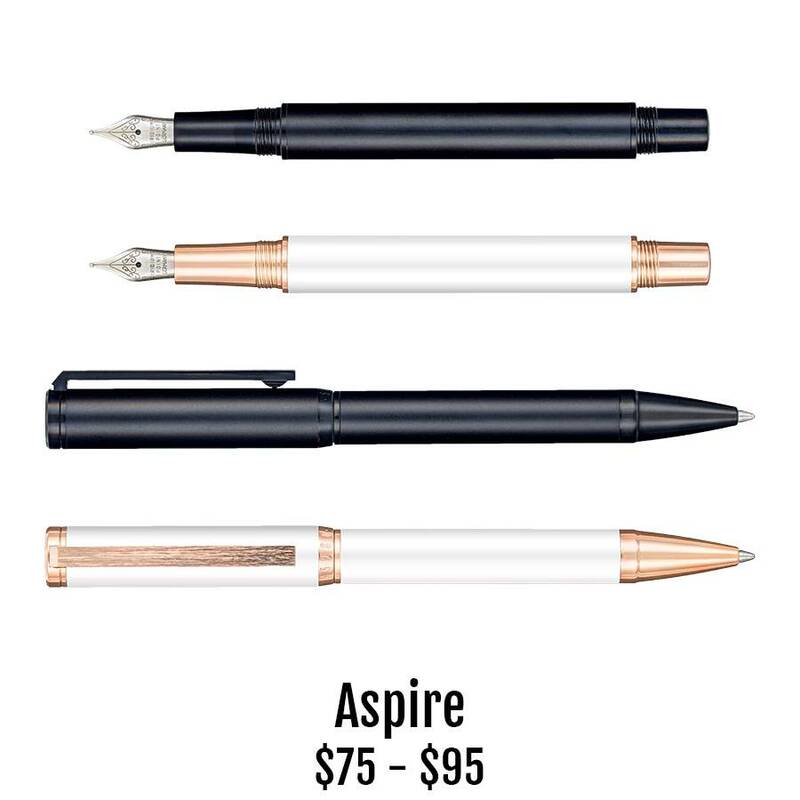 But no matter where you are, you will breathe easy and write smoothly with the 5280 Aspire fountain pen, rollerball or ballpoint. Select from a dark carbon fiber with stainless steel brushed trim, a solid matte black with matching trim or a luxurious pearly and rose gold model. Caps on the two-piece fountain pen and rollerball screw to close and to post. Ballpoint tips deploy with a twist of the top. Pause, take a breath on your way to the top with Aspire, from 5280.